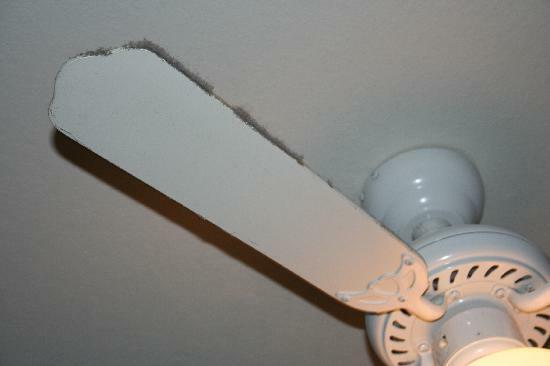 Ceiling Fans accumulate large amount of dirt, dust,cobwebs and allergens. Since they can be difficult to reach, especially in the case where one is installed on the second floor of a vaulted ceiling, they are not things that are usually on a homeowner's list of weekly chores to get to. That being said, fans are often overlooked in routine cleaning. They continue to build up dust more and more until there could be a breakdown of the motor inside the system, or you may start to notice dust being blown all over your room and getting on top of your carpet, curtains, bedding, tables, sinks, and so on. Our team of experts will be able to remove this dirt and grime from the blades, glass, lighting, and various other components of the fan's system so that it runs better, more efficiently, and no longer blows dirt all over your rooms. When you have a clean fan you don't have to worry about dust and allergens being blown all over your home. This is good news for anyone in your family who may be suffering from allergies. Additionally, the clean blades and motor will be able to spin much more efficiently, leaving you with a cool and comfortable breeze in whatever room the fan may be installed in. Cleaning regularly can also help to extend the life of the fan. Call to scedule a ceiling fan cleaning today.